Cycle & Carriage Industries Pte Ltd has launched the new Mercedes-Benz Citan 112 Panel Van in Singapore at its commercial vehicles showroom, located at 209 Pandan Gardens, today. 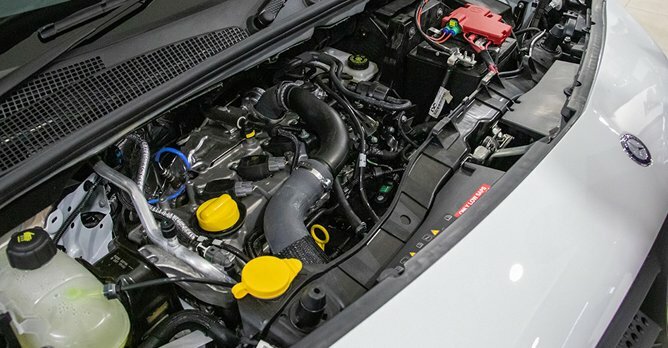 The Citan 112 is the latest addition to the Mercedes-Benz Citan range available here, and will come with a 111bhp 1.2-litre turbocharged petrol engine mated to a six-speed 6G-DCT dual-clutch automatic transmission. The Citan 112 available in Singapore is the long-version, or long-wheelbase variant, offering extended loading space. 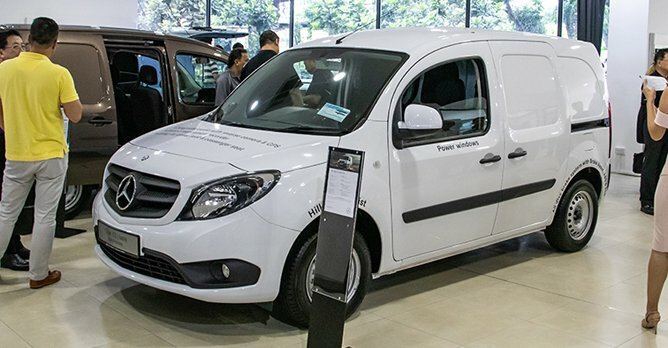 With its unique appearance, the Citan stands out among urban delivery vans whilst easily finding its place alongside the Vito in the family of Mercedes-Benz vans. The characteristic appearance revolves around the confidently displayed, chrome-plated star in the radiator grille, along with its painted bumpers and wing mirrors, which gives it a sleeker, passenger vehicle like appearance. The Citan 112 is fitted with convenience features such as front power windows, electrically foldable wing mirrors with heating function, as well as GPS and a reverse camera. Safety features include airbags for the driver and passenger, tyre pressure monitoring system, all-round disc brakes, hill-start assist as well as an Electronic Stability Program. Prices for the Mercedes-Benz Citan 112 Long-version will start from around $46,000 without COE. Cycle & Carriage, the authorised distributor for Mercedes-Benz commercial vehicles, is currently running a promotion for the Citan and Vito range with low interest rates from 1.99%, with free first month installment and free first year insurance. The Citan 112 is covered with a three-year or 100,000km warranty, and comes with a free five-time oil service package.